One of the faces well known with Ally Financial’s auto finance business is leaving the company as part of key leadership changes announced on Thursday in association with changes to its auto finance, insurance and risk management organizations. According to a news release, Doug Timmerman has been named president of auto finance and will assume responsibility for driving the strategy and performance of the business going forward. Ally highlighted Timmerman brings deep knowledge and expertise to the role, with more than 30 years of auto finance and insurance experience. He was previously president of Ally's insurance business since 2014, and prior to that was vice president of auto finance, responsible for sales, risk management and portfolio management for the southeast region. Since joining Ally in 1986, Timmerman has held a variety of leadership roles in commercial lending, consumer lending, collections, sales and marketing. Meanwhile, the company said Tim Russi, previously president of auto finance at Ally, will remain with the company as vice chairman of auto finance until Oct. 1 to help ensure a seamless transition before leaving to pursue other opportunities. During his 10 years at Ally, the company highlighted Russi led Ally's auto finance business through an incredible transformation period from a captive finance provider to an innovative industry leader. He successfully navigated through industry and broader economic changes to grow the existing auto finance business and develop innovative ways to leverage Ally’s technology with new consumer and mobility trends to position the company for the future. 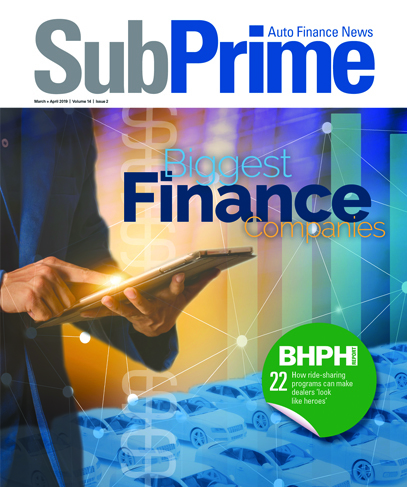 Under his leadership, the auto finance business achieved $328 billion in originations and added 8,000 dealer relationships. Ally pointed out Russi also pioneered an innovative customer loyalty program that delivered significant benefits for Ally and its dealers and reflected his deep commitment to providing unmatched dealer and customer service. As Timmerman moves to lead the auto finance business, the company also noted that Mark Manzo has been named president of Ally’s insurance business. Manzo was previously senior vice president of the central region and strategic alliances for the auto finance business and successfully developed relationships with key dealers and digital providers that helped to expand and diversify the business. In his new role, the company indicated Manzo will lead key business development and diversification initiatives for Ally’s insurance business, with a focus on creating new relationships with dealers and digital marketplaces. “I am thrilled for Doug to lead our auto finance business in its next chapter, and am confident that he will continue to grow and evolve the business in new and exciting ways, while adding value for our customers and keeping outstanding service at the forefront of everything we do,” Brown said. In yet further developments, to further enhance the auto finance organization, David Shevsky has been named chief operating officer of auto finance at Ally. In this newly-created role, Shevsky will oversee consumer risk and operations, commercial risk and credit administration, collections and loss mitigation activities and business systems. Previously, Shevsky was chief risk officer for Ally since 2015, and oversaw the company’s independent risk management function. He joined Ally in 1986, and has held a variety of positions in auto finance operations. Succeeding Shevsky, Jason Schugel has been named chief risk officer of Ally. Schugel was previously deputy chief risk officer for the company since 2017, leading various risk-management activities. Prior to that he was general auditor for Ally, responsible for the company’s internal audit function, as well as administrative oversight for Ally’s loan review function. Schugel joined Ally in 2009, overseeing the company’s financial planning and analysis team and was responsible for financial performance reporting, enterprise-wide forecasting and planning. He also previously served as lead finance executive for Ally’s global functions.